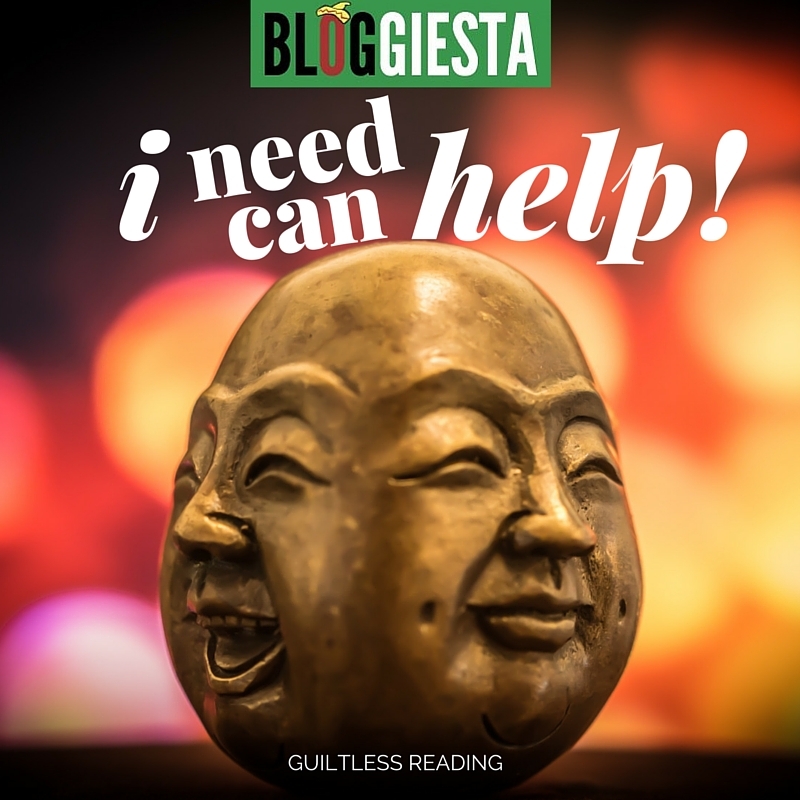 And it begins ... Spring #Bloggiesta + a mini challenge to celebrate #Bloggiesta's true spirit of helping out! Our awesome mascot Pedro (Plan. Edit. Develop. Review. Organize) is ready to break out the nachos, enchiladas, drinks, mariachi music and whack a pinata or two! It’s nothing short of an awesome fiesta! It's Spring! And it's time for the big #Bloggiesta! Time to get inspired by fellow book bloggers cleaning up their blogs and their to-do lists... it's great to know we're never alone. Back up my blog and Read the Nobels. Get up-to-date with my reviews - I have one review I want out next week. If I get two done, I'll be more than happy! Update my Book Map with old and recent reads. Join mini-challenges that I think are fun and useful. - I've joined in Bookish Mastermind Groups and I'm excited to see how this works out. Host a mini-challenge. Host a giveaway. - Check it out down below or JOIN IN HERE. Check out the Twitter feed for #Bloggiesta and participate in at least one Twitter chat. Big Project: As my "big" task, I plan on focusing on getting my email subscriptions up to snuff. I have amassed a few articles about this and will be doing some more research about it. I have only close to 100 email subscribers (thank you ;)) and I really want to make my subscribers feel extra special. Don't forget to check out the Mini Challenge: I Need/Can Help! + Giveaway! I've signed up to host a mini challenge! My experience in the book blogging community has been tremendous - I find most are willing to give a helping hand when asked. Our community is a wonderful resource because of the range and diversity of experience and there is so much to tap into! Ask for help, or dispense some advice. ... if you join in, you may win a PRIZE! The lovely Luvly.co* is offering my readers something really fun ... a prize! If you join this mini challenge, either as a helpee or as a helper, you qualify to be entered into the draw for their Mega Spring Bundle (it sells for $29 but it is a humungous bundle of goodies valued at over $500!). Great idea! I love this! Cannot wait for the critiques/commenting fun. you may have managed to convince me, I'm so afraid, Murakami is one of my favorite authors. Happy hopping! And I hope the suggestions are helpful! I was pleasantly surprised with the movie, if I'm honest. I usually hate movies based on books but the cinematography on this was just beautiful. Love the idea of asking/answering questions during Bloggiesta! Fun! Looks like you have a great list of goals to accomplish! I hope you have fun while doing it! :) I can't wait to check out your mini-challenge. So excited about this!! love being part of a community and being able to learn new things! You are going to rock that list. I love getting all the stuff I push aside done during Bloggiesta! Can't wait to kick things off with the Mastermind Group! And I'm excited to see how this works out! :) Happy hopping and happy Bloggiesta! Still loving that you have a masterlist :) Good luck with your goals :) Happy Bloggiesta! I hope you are having fun! I am, and I feel really good about what I've accomplished...I do have some tasks, not on my list, that I'm feeling "guilty" about...like I've never backed up my blog, and some images are missing from posts from years ago because I deleted some from my Media files...not realizing. Yikes! I could never do it without my masterlist as it keeps me on track :) Good luck to you too Stephanie ... we can do it! Hope you join in the fun, Deb!